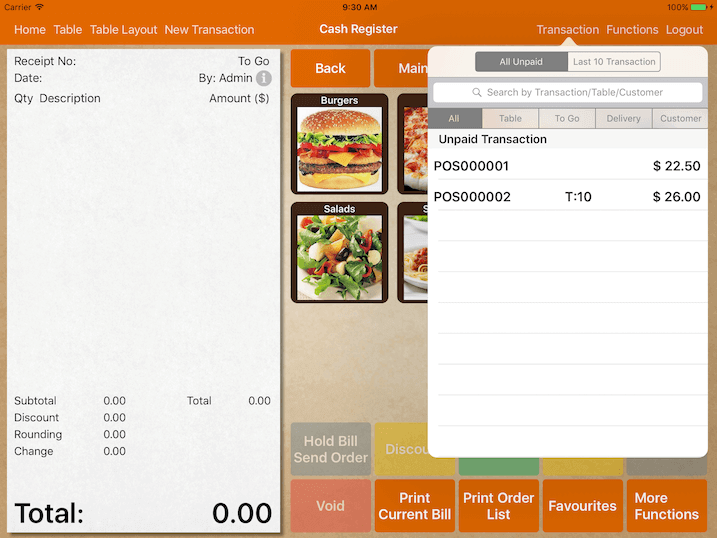 To retrieve unpaid transaction, simply tap on the Transaction button. All opened transaction will be listed under All Unpaid. Under Last 10 Transaction, you will find the last 10 paid or unpaid bills. To retrieve transaction earlier than that, find it under Settings -> Previous Receipts. 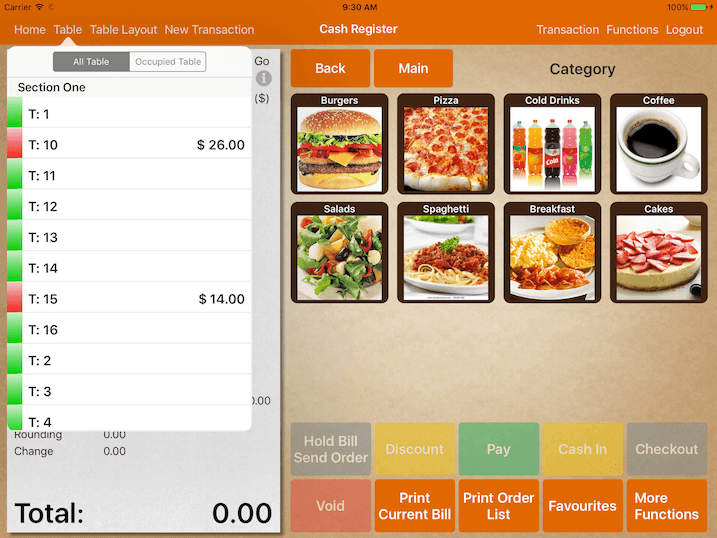 To retrieve unpaid transaction by table, simply tap on the Table button. It gives you an overview of all your table status in a listing format. To view only occupied table, tap on Occupied Table.